The Nokia X Android smartphone won’t come with access to the Google Play store and its million-plus apps. So how is Nokia going to woo developers to build apps for its shiny new Android device after going whole hog on Windows Phone with Microsoft over the last few years? Nokia’s short answer: It won’t have to, as it should be relatively straightforward for consumers to load a variety of Android apps on Nokia’s latest handset. The Nokia X is built on the Android Open Source Project (AOSP), version 4.1.2 Jelly Bean. Nokia has made very few alterations to the AOSP for its new smartphone, and so says that most existing Android apps should work on the Nokia X without modification. Nokia’s Android-app strategy embraces the global nature of the Android ecosystem. While U.S. users are accustomed to getting Android apps through the Google Play store, that’s not the case in many other parts of the world, where consumers use third-party app stores to get Android apps and often “sideload” Android apps directly from app developers. Here’s what consumers and developers need to know about getting apps on the Nokia X. The Nokia store: This will feature Nokia’s own selection array of apps. Nokia says developers can use their standard Android Application Package Files (APKs)—which are sort of zipped-up software “suitcases” for transporting app and related software—and basically drag and drop them into the Nokia Store. Nokia has a tool that will scan the app for compatibility, and says that most apps won’t need to change a thing. Third-party app stores: As noted above, these are already common app sources in many countries. For instance, Yandex in Russia is one of the biggest providers of Android apps for users there. Third-party app stores will be available as links through the Nokia store, allowing users to download just about any app from anywhere. Nokia didn’t attempt to get a Google Mobile Services (GMS) license from Google to use the Google Play store or any of Google’s Android core apps. So Nokia had to create its own application programming interfaces (APIs) to handle basic functions on the Nokia X that support consumers and developers. Location: Nokia will provide developers with a new location API to replace Google Maps. The Nokia X’s location service API will be the Nokia HERE Maps. Notifications: Nokia uses the classic drop-down notification bar in Android, but app notifications have to run through Nokia, not Google. 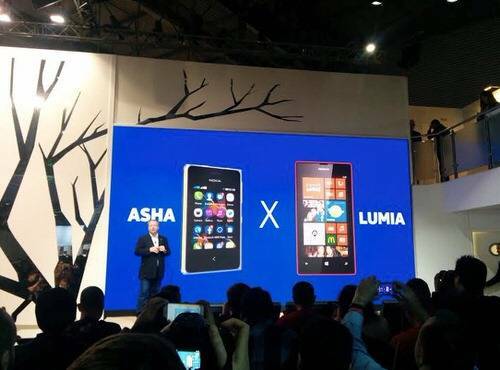 As such, Nokia has its own custom-made notifications API that will also integrate into the phone’s home screen. In-app payments: Nokia couldn’t use Google’s robust international payments system to help app developers get paid, so it built its own. The Nokia X will support payments in every country that the phone is distributed to, often using direct-carrier billing with cellular partners across the world. Patel says that the tools and website for Nokia developers are ready for developers this week. Developers won’t need to rewrite their source code for the Nokia X or repackage their APKs to publish to the Nokia Store, the company says; at worst, they’ll only have to make slight modifications involving these three APIs. Patel claims that the developer time to publish even with the modifications is eight hours or less. If Nokia does one thing really well these days, it is sell low-cost smartphones to emerging markets across the globe. The Nokia X is designed precisely to fit into this strategy. “Overall, what we are saying is that we will provide developers reach and a low time to market,” Patel said. 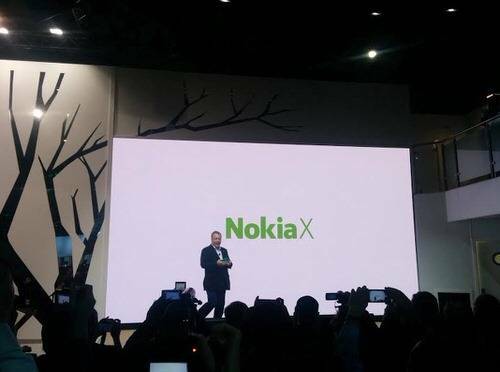 Massive reach: The Nokia X will launch the week of March 3 in markets around the world, including China, India, Indonesia, Thailand, Eastern Europe and the Middle East. With a budget-friendly price, attractive design and access to apps, Nokia thinks its smartphone will be a huge hit. That, in turn, would offer developers that work with Nokia access to big new markets. Money: Nokia will make sure that developers can get paid by offering its own payment service in lieu of Google’s. Nokia also believes that the pay-per-download model is not effective (it is what the iOS App Store and Google Play use in the United States) and instead will use a “try-and-buy” approach to let users download the apps and pay for them if they want to keep them. Nokia claims that users are five times likelier to pay for apps with the try-and-buy approach. Time to market: Nokia seems eager to make sure that developers have to do very little work to get into the Nokia Store. Most APKs that work with Android Jelly Bean 4.1.2 will work just fine in the Nokia Store, the company insists. “Developers can use their existing Android developer environment and just use a plugin to edit and modify the existing source code [to implement for the Nokia Store],” Patel said. Nokia is taking a very egalitarian approach to app distribution for the Nokia X. As long as an app has a functional APK, it will work on top of just about any version of AOSP. And unlike some other non-standard Android smartphone makers, Nokia won’t go out of its way to block Google apps like Gmail, Maps and so forth. Its approach is a departure from Amazon’s Kindle Fire and Android Appstore approach. The e-commerce king goes well out of its way to make sure that users of its devices can’t touch Google properties in any way, shape or form (at least without rooting their devices and reinstalling Android functions that Amazon purposely left out). Amazon doesn’t allow users to visit the Google Play store or use the Chrome browser or the native Gmail app for Android. Nokia hasn’t bothered fencing Google out of its device. Technically, a savvy user or developer could easily load Google’s apps into the Nokia Store or sideload them onto the Nokia X. That comes with a caveat: The only restriction on app downloads are those that require root access on the device. If an app needs root access, it cannot be downloaded to the Nokia X unless the user actually roots their device. Many of Google’s Android apps do require root access for hardware integration—Maps, for instance, does—and hence will be blocked from the Nokia X. The key differentiator for Nokia is allowing local markets to use their own third-party Android app stores. For instance, Yandex is Russia is the de facto app store for Android in the country, not Google Play. In this way, Nokia can localize experiences without needing developers to port to the Nokia Store. The scenario is similar in countries like China and India, where local app stores are more prevalent on Android devices than Google Play.